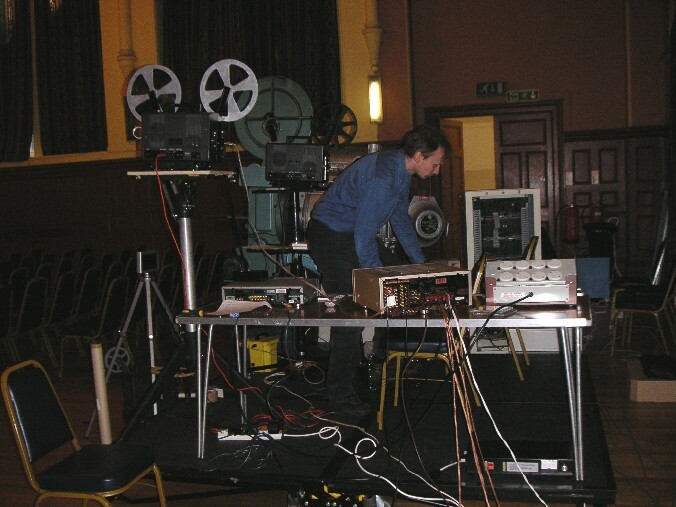 Ben Wales at the helm of his mighty dual 70/35mm projector. All that wonderful equipment. And there's 70mm behind that lot too. 11:00 Eumig Demonstration film (18fps) using projector 1 - Elmo Xenon with 3 bladed shutter. 11:05 Vault Rake Programme: Projector 2 - Elmo Xenon with 2 bladed shutter. 1. Tom and Jerry: "Cat Napping"
12:30 "Where Are They Now?" 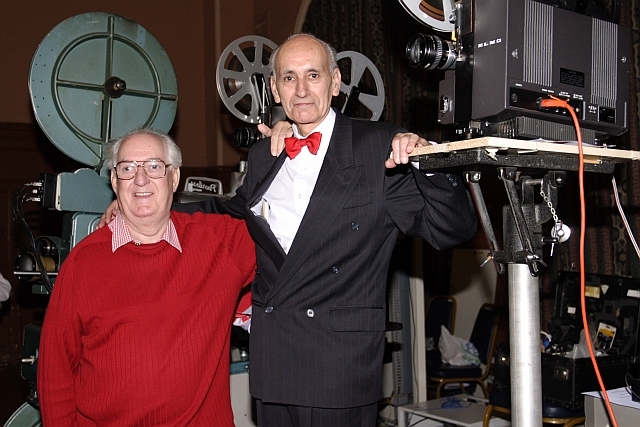 Super 8 footage from the early days of the BFCC presented by David Locke. 12:45 The sync' pulse show. "Jurassic Park" with Dolby Digital sound through the Pioneer/Kef THX system. Details of film programmes continues on next page. 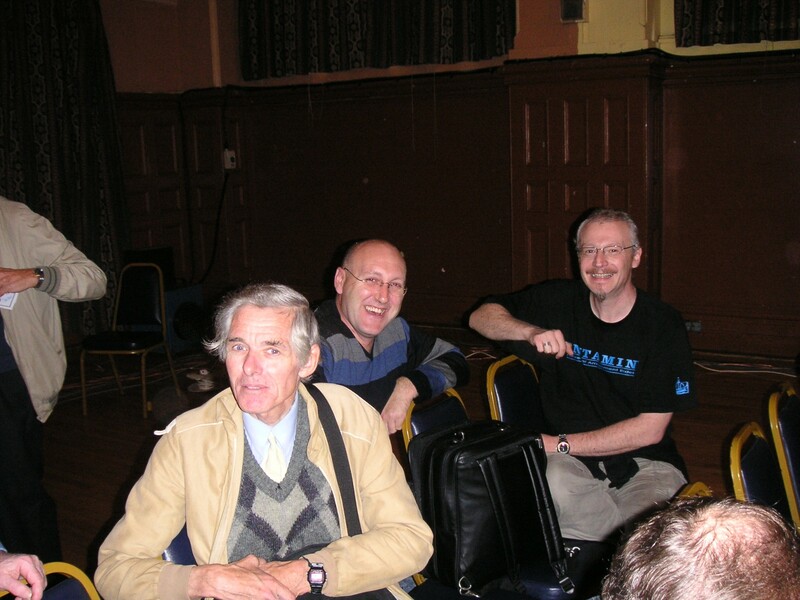 Geoff Wheeler, organizer of Big Screen Time at Tadley with Keith Wilton, organizer of the BFCC. 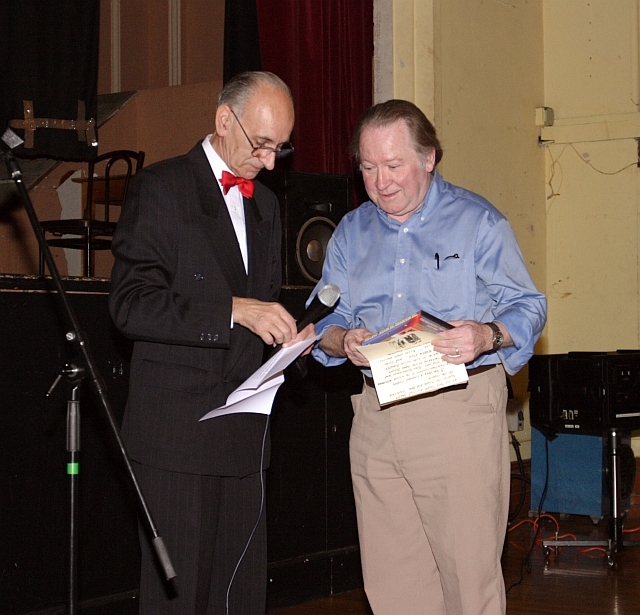 Film editor Alan Martin receiving an award for his role in giving us some of the best Super 8 cut-downs of the 70's and 80's. 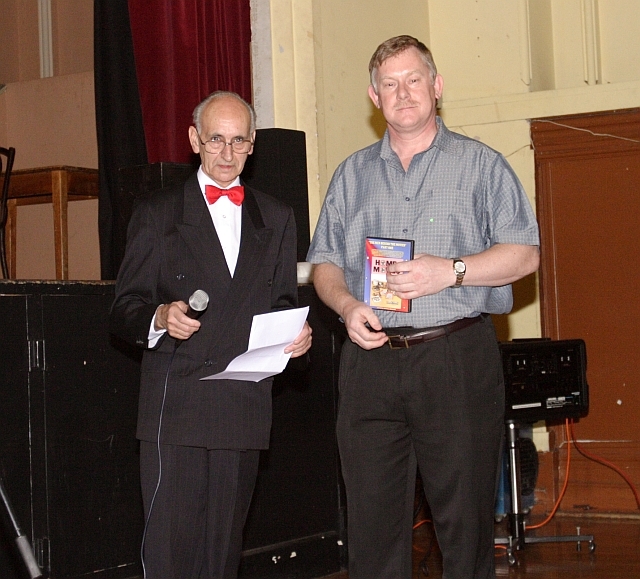 Film editor Ken Locke receiving his award for his work on Super 8 cut-downs and his role as lecturer and historian at the BFCC's and his excellent commentaries on the various video and DVD releases. 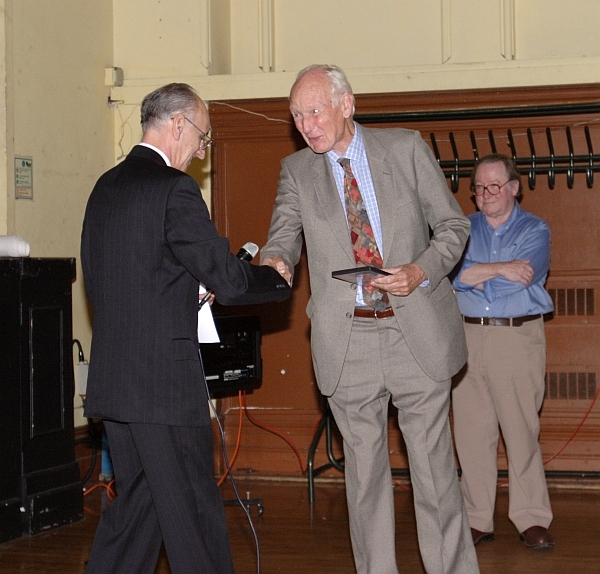 David Locke is also presented with an award for our gratitude in his role with the BFCC's from the earliest times. Grant Lobban, Craig Hamilton and Jean-Marc Toussaint. Jean-Marc again came over from France for the day via Eurostar. Our thanks to you Jean-Marc and your fellow countryman Daniel who came all the way from Lyon just for the BFCC and to celebrate Trafalgar Day with us. Good sports the French.